Two brand new MELF resistors suitable for repairing GHD 4.0b's where R8 has gone open circuit. This resistor is rated at 1 Watt - the higher the wattage, the less likely it is to fail during use. 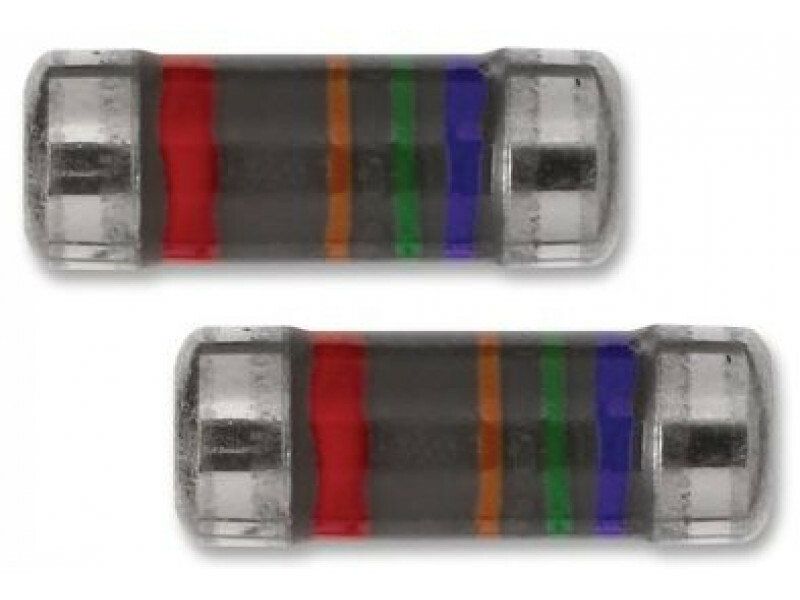 Our standard blue resistors are 0.4W and are perfectly good for solving this problem, however if you are having a problem with this component failing repeatedly, or you just want to be extra sure that it will last, then we suggest you try this resistor instead. A single pack contains 2 resistors. See the R8 Resistor page for more details. Two brand new MELF resistors suitable for repairing GHD 4.0b's where R8 has gone open circuit. Th..